If you have an early flight and want to arrive at the airport refreshed, or you are looking for somewhere to stay between connecting flights, then an airport hotel is a convenient option. There are a number of hotels within easy reach of the airport. There are four hotels on site at the airport, including Crowne Plaza, Hilton, Radisson Blu and Clayton Hotel. There are several hotels within 5 miles of the airport, and some include parking so you can leave your car there. Boasts state of the art business facilities and function rooms for all needs, including weddings. Boasts state of the art business facilities and function rooms for all needs including weddings. With great room rates and a childrens play area, this hotel is perfect for families & those on a budget! With on site parking, a pet friendly policy + a complimentary gym and pool, what’s not to like? ith on site parking, a pet friendly policy + a complimentary gym and pool, what’s not to like? 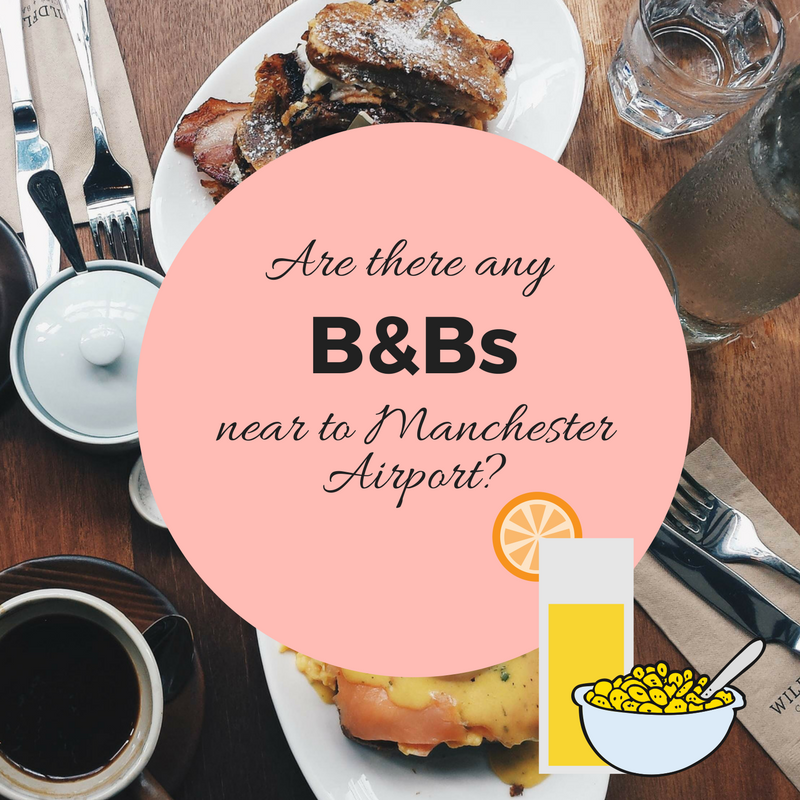 As Manchester Airport has grown, and demand for long and short haul flights has increased, a number of hotels are now available at the airport, just a short walk from the 3 terminals. Booking a hotel room next to the airport diminishes the stress and worry about being late for your flight and allows you to relax and prepare for your flight. Where available, you can even take advantage of great parking deals as part of your stay! 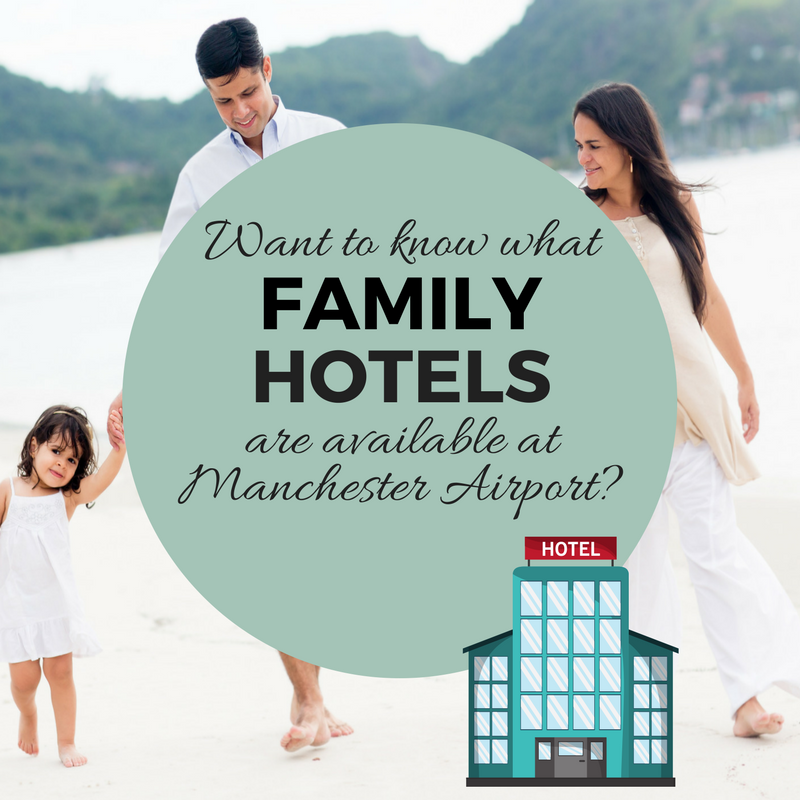 Families are of course welcome at many of the hotels in and around Manchester Airport. For those with younger children, cots and small beds should be available at most hotels, but you will need to contact the hotel directly in advance to make sure they have availability. Many hotels will consider children over 16 as adults so will be charged as such, but this will vary between hotels. 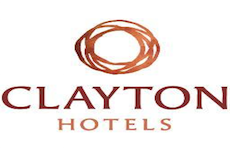 If you are looking for family friendly hotels, we recommend opting for a hotel with facilities such as a swimming pool and child friendly restaurants such as Hilton and the Radisson Blu or go a step further with Clayton who have a children’s paly area! 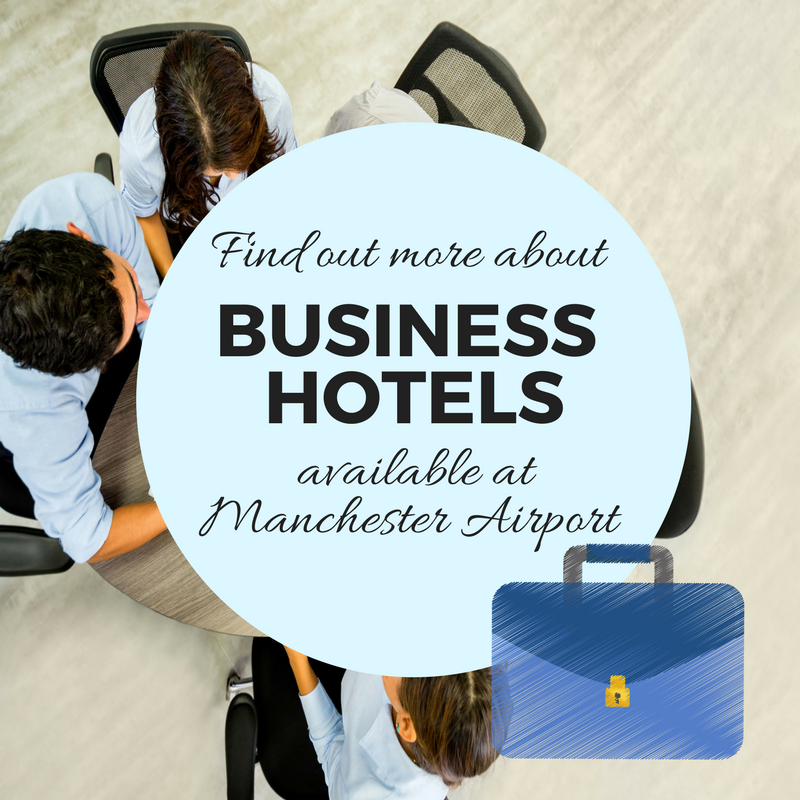 Most of the hotels around Manchester Airport are ready for business travellers coming fully equipped with Wi-Fi, work desks, Tv, safes and room service. Some business hotel rooms come with parking included whilst you are out of the country. Many hotels have meeting, IT and banquet facilities available as well as dedicated business centres with daily newspapers to suit all needs. Business Travellers staying at the hotel for more than a night may wish to make use of the laundry and dry cleaning service, or the fitness centre, pool or spa if available. 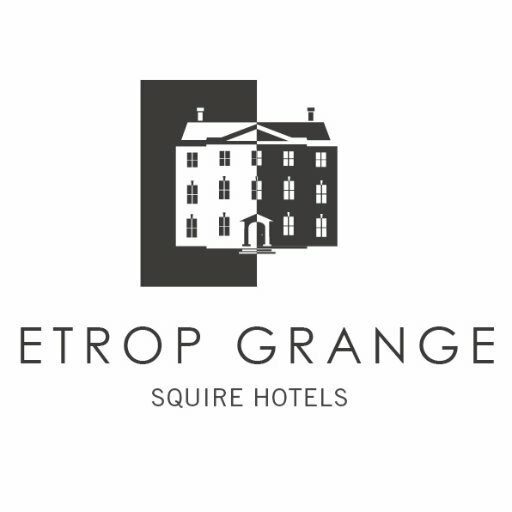 Hotels such as Etrop, Premier Inn and Marriott all offer great business and event use spaces. The hotel is situated in the heart of the Manchester Airport complex and is only 5 minutes by courtesy shuttle bus. The bus also services the Airport Train station which offers excellent links to all major cities in the UK. The beautiful Cheshire countryside is just a short drive away and the Airport hotel is less than 10 miles from Manchester city centre and the M6 motorway network. £14 a day in the self park car park. Hot breakfast is served every morning in the restaurant. 24/7 room service is also available. If you’d prefer a sit down meal, why not visit Mason’s? With a wood-stone oven at its heart, Mason’s is an informally stylish eatery serving a selection of classics, with an emphasis on fresh produce. Whether a working lunch, an intimate dinner, or just meeting friends for a drink, Mason’s naturally lively air and laidback style inspires social interaction. Mason’s Bar is located just next to the restaurant where you can enjoy a selection of drinks, cocktails, snacks and Hilton Classics meals. 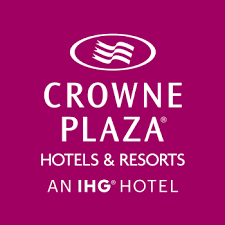 Located within the airport complex, Crowne Plaza hotel has comfortable bedrooms, two stylish hotel bars, the traditional Grill Room and a beautiful Pan Asian restaurant. The hotel is a 10 minute walk away from the airport, and free airport shuttle services can be arranged for guests. All hotel rooms are fully air conditioned with flat screen TVs, a minibar, full private bathrooms and Egyptian cotton sheets. All rooms are non-smoking and room service is available. There is 24 hour room service available, a Pan Asian restaurant, Sampas and the Grill Room or if you’re looking for a more relaxed environment, you’ll find food and a pint at the Irish bar, Callaghans or opt for the Lobby Bar for drinks and snacks. With more than 350 full-equipped rooms, the Radisson Blu Hotel Manchester Airport is directly connected to the terminals and also offers guests easy access to popular city attractions. They have a room suitable for all requirements; from family rooms and those with a view to Business Class rooms and Suites. All are stylish, modern and as standard, come with a TV, Free WiFi access and a Mini Bar. As well as 24 hour room service, you can enjoy a delicious meal in the Collage Restaurant. Here you’ll find the Super Breakfast Buffet alongside an array of regional and international cuisine available for lunch and dinner. You can also visit the Little M bar for light snacks and delicious cocktails, wine and beer. Each of the 365 rooms in Clayton Hotel are soundproofed, with a private bathroom, hairdryer, power shower and a TV. Choose from a Family, Standard or Executive Room in a beautiful hotel that’s just a short walk from the terminals, has a complimentary shuttle service available, and long stay parking. All rooms are non smoking and have a TV, work desk and tea and coffee making facilities. All rooms have free wi-fi and room service is available. There is a brasserie restaurant and a lounge bar. You can choose from a selection of light bites, hearty breakfasts or A La Carte dining. One child (up to 12yrs) eats free with the children’s menu between 5:30pm and 7pm when accompanied by an adult buying a main course. In a hurry to leave in the morning? They also provide Grab and Go breakfast bags. Stay in a beautiful Grade II listed Mansion, situated just a few minutes from the airport. 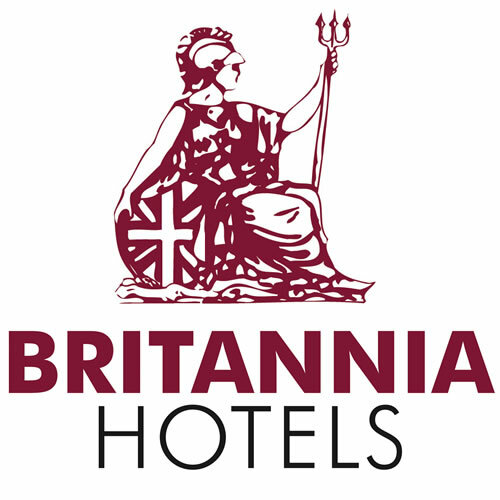 With en-suite rooms, original fireplaces and authentic Georgian decor throughout, you can be assured your stay will be one to remember! Stay, Park and Fly packages can be arranged for stays of 8 or 15 days form £90. All of the elegantly designed rooms have flat screen TVs, complimentary Wi-Fi and tea and coffee making facilities. All rooms have en suite bathrooms with a hairdryer, and some of the rooms have four poster beds. Of course, Etrop Grange has an excellent on site restaurant called The Grange Grill and Bar. If you plan on holding an event, they offer private dining packages for up to 200 guests and a tasty Afternoon Tea! Premier Inn Manchester Airport is a 4* luxury hotel located less than a mile from Manchester Airport, which means you don’t have to worry about hauling your luggage too far. For those driving to the airport or hotel, there is a drop off area outside the hotel and on-site parking is available. Enjoy the comfort of an air-conditioned room with blackout curtains, alongside tea and coffee making facilities, a flat screen TV with 80 Freeview channels and a power shower. All you can eat breakfast* is served daily in the restaurant and the lounge bar have a range of drinks and light snacks available throughout the day. For dinner there is a varied menu served in the Thyme Restaurant. Fully loaded with leisure facilities including a spa, your choice of restaurants and luxuriously furnished guest rooms, the Marriott at Manchester Airport makes a great choice for both holiday and business travellers wanting a comfortable and relaxing stay. All guest rooms are soundproofed and air conditioned, have en-suite bathrooms, a work area and tea/coffee making facilities. For your entertainment a flat screen TV with movies, video games and a radio. Larger executive rooms are also available for that extra bit of luxury. A choice of 3 dinning options are available at the Marriott, all of which have a casual, laid back setting. Open for breakfast and dinner, the Cast Iron Bar and Grill serves up fresh local produce and signature steak dishes. Enjoy a variety of Italian dishes for lunch or dinner at San Carlos or pick up something lighter such as gourmet sandwiches and fresh coffee from the Lounge Bar coffee house. With 136 beautifully decorated bedrooms, a terrace restaurant and situated less than 10 minutes from the airport, this pet friendly hotel is perfect for families and those not wishing to be as close to the airport. Take a dip in the pool and chill out in the spa if time allows it! From Twin rooms to family suites, there’s a room to suit all needs. All rooms come with free WiFi, en-suite bathrooms, a TV and Hairdryer. Upgrade to the executive version of the standard room to enjoy a more spacious room. Guests are welcome to dine in the on-site Terrace Restaurant, and enjoy drinks and light bites in either the Terrace Bar and Lounge or the Club Motivation Lounge Bar. Breakfast is served from 4am daily (Continental, or from 6am for a Full English). The restaurant re-opens at 6am for dinner.